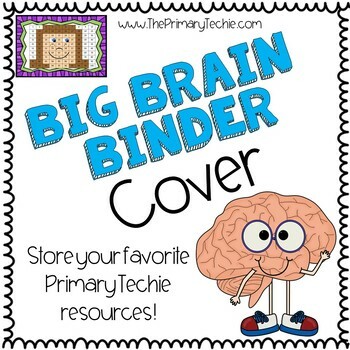 Store all your favorite Primary Techie resources in a BIG BRAIN BINDER! I purchased 1/2 inch binders from Amazon and reuse them year after year. My kids keep their binders in their desks. Looking for things to put in your binders? Check out these classroom favorites!